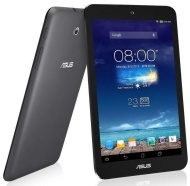 alaTest has collected and analyzed 179 reviews of Asus Memo Pad 8 ME180A. The average rating for this product is 4.0/5, compared to an average rating of 4.3/5 for other products in the same category for all reviews. Comments about the size and price are on the whole positive. The usability and performance also get good feedback, whereas many are critical about the apps and camera. alaTest has collected and analyzed 6 user reviews of Asus Memo Pad 8 ME180A from Amazon.co.uk. The average user rating for this product is 3.8/5, compared to an average user rating of 4.3/5 for other products in the same category on Amazon.co.uk. Reviewers really like the usability and performance. The price and design are also appreciated. alaTest has collected and analyzed 61 user reviews of Asus Memo Pad 8 ME180A from Amazon.com. The average user rating for this product is 4.2/5, compared to an average user rating of 4.1/5 for other products in the same category on Amazon.com. Reviewers really like the battery and screen. The price and performance also get good views, whereas many are negative about the design. Bought this for grandma, and it has offically replaced her computer. The LCD screen does die like others have reported. Bought on 11/7/2014. The screen would not turn on on 1/1/2015. The tablet itself is on but the screen is totally dark despite of multiple power resets. Will probably end up selling it online and get something else ... can't keep paying shipping fees to fix something that shouldn't break that often! Cheap, good quality screen, OTG, big enough IMO but still small enough to be easily carried around.